Discuss how the Chakra archetypes are working in your life. Open the Chakra with all 5 senses while we meditate and journal about our discoveries. 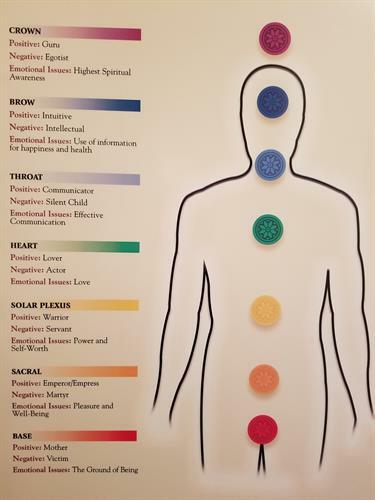 Develop affirmations to heal the Chakra energy centers. Contact Bonnie Thanos for registration and questions.